Plastic packaging is an essential part of the food supply chain, helping to protect food, extend shelf life and deliver significant reductions in waste. So, what are the misconceptions surrounding it? Plastics are demonised for many of the wrong reasons. But it is not the material that is the issue; plastic is resource efficient, flexible, hygienic, durable and lightweight, with protective barrier properties. Other materials don’t match those sustainable and functional properties. The fundamental challenge is the careless disposal of plastic, resulting in land and marine litter, rather than the material itself. Many plastics can be easily recycled. The key question is whether there is the recycling infrastructure and appetite to dispose of litter and recycle responsibly. kp designs and manufactures plastic food packaging, among other packaging and industrial products, which include flexible films, rigid films and rigid trays, many of which are made with up to 100 per cent recycled content and are recyclable themselves. In the UK, kp principally uses post-consumer recycled polyester (rPET). When a consumer disposes of their PET packaging in a recycling bin, it is collected, sorted and recycled. We then buy the processed material back into our business and reuse it, closing the recycling loop. We invest a lot in innovation, designing for sustainability and recyclability; it’s a priority for us. Food waste in Europe totals 88 million tonnes, with associated costs estimated at €143 billion. Taking meat as an example, using plastic vacuum skin packaging can increase the shelf life from two to three days, if wrapped in paper, to sixteen days and more, reducing food waste by a staggering 75 per cent. The environmental, social and economic impacts of food waste far exceed the same for plastic packaging, which is specifically designed to protect products using minimum resources. Food on the go is a growing trend, predicted to increase by 30 per cent within the next five years, particularly in large cities. But are there enough recycling units for consumers to dispose of their packaging responsibly, in line with this? Improvements are being made, but not at the rate needed. In 2016, 27.1 million tonnes of plastic waste was collected through official schemes in the European Union to be treated. And for the first time, more plastic waste was recycled than landfilled. For the ten years to 2016, the volume of plastic waste collected for recycling increased by 79 per cent, energy recovery increased by 61 per cent and landfill decreased by 43 per cent. But more needs to be done. Plastic waste is not the same as littering; plastic waste is a valuable raw material to us. Littering is a serious cultural problem. If consumers understood the value of it, they would not throw it away. They wouldn’t throw away a plastic £10 note. More than 80 per cent of marine litter comes from developing countries, because there is a lack of infrastructure in place for waste disposal. England has the seventh highest recycling rate in the EU at 45 per cent. Wales has the second highest at 57 per cent and the third highest in the world. It has invested heavily in standardised and incentivised recycling systems. Last year, kp used more than 140,000 tonnes of post-consumer rPET, the equivalent weight of 85,000 cars or 1,500 blue whales. We need more material so we can generate more recyclable protective packaging to meet the growing needs of society. But there are so many interdependencies and moving parts to the recycling chain. 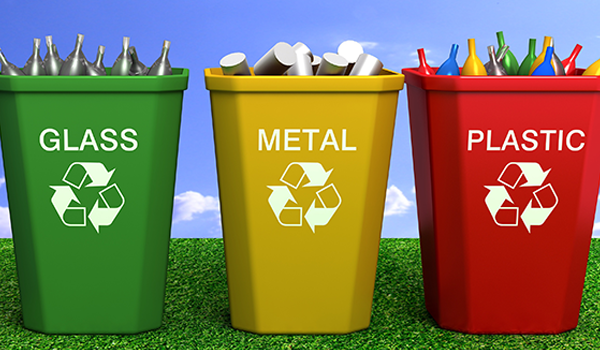 We have more than 300 councils in England, each collecting different waste materials and products for recycling. The government needs to create consistency, and we need adequate mechanisms and provisions for consumers to recycle at home or on the go. kp can then continue to design plastic packaging for recyclability and deliver environmental and social solutions, today and for future generations. Plastic Free July: Can you bring your own containers to the supermarket?